This was a Game Jam project from SpartaSoft. Game Jam is when teams of SpartaSoft club members come together to create a game in just 48 hours. The theme of the game was chosen because the Game Jam required that teams create a game based off one of three Random Game Name Generator rolls. When the result "a Baby Stabbing Simulator set in the 90's" popped up, my whole team laughed at the absurdity and then collectively agreed to create such a game. 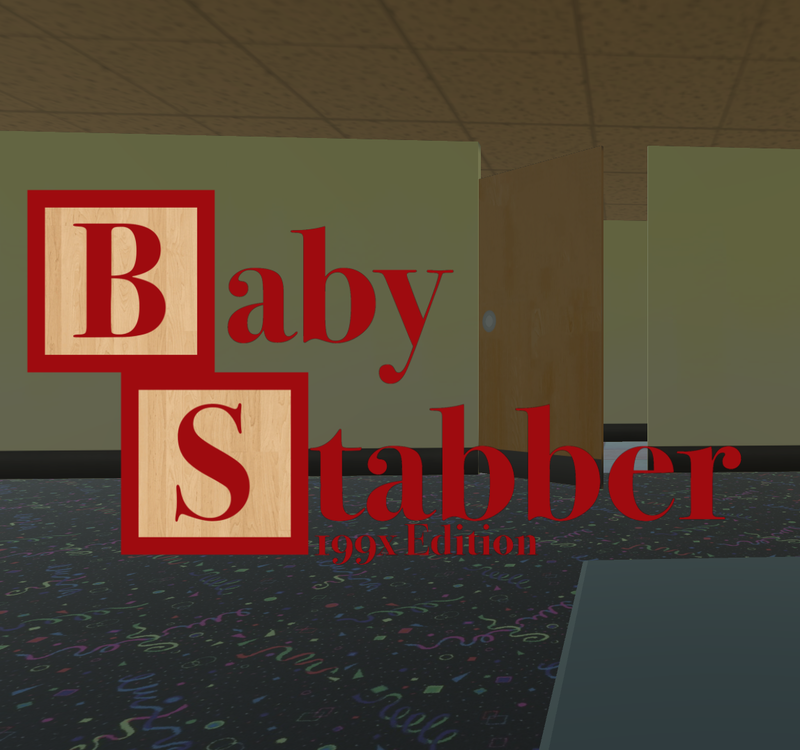 I contributed to the game by creating the program that caused the babies touched by the knife to disappear into a pink cloud. I also created the code that rotated the camera at the start of the game and I created multiple textures on Photoshop such as the hallway's floor and the Alphabet block textures.